The circus comes to a coffee table near you! 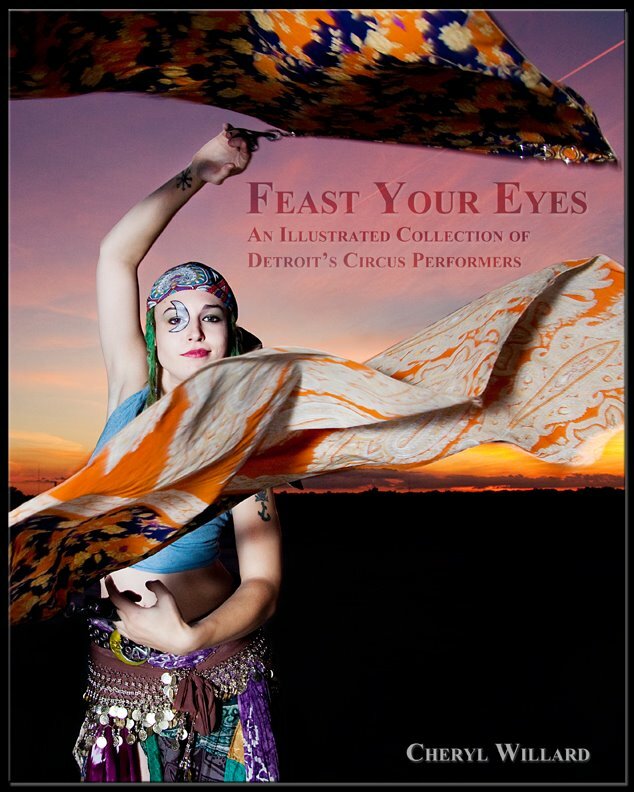 On January 7th, i3 Detroit will host the release party and show for member Cheryl Willard‘s new book, Feast Your Eyes, An Illustrated Collection of Detroit’s Circus Performers. The DIY workshop will be converted into a venue for some of those very performers, while members and guests alike enjoy refreshments and a show. Framed prints and a limited number of books will be available for sale. 6-9pm, public welcome, no cover. 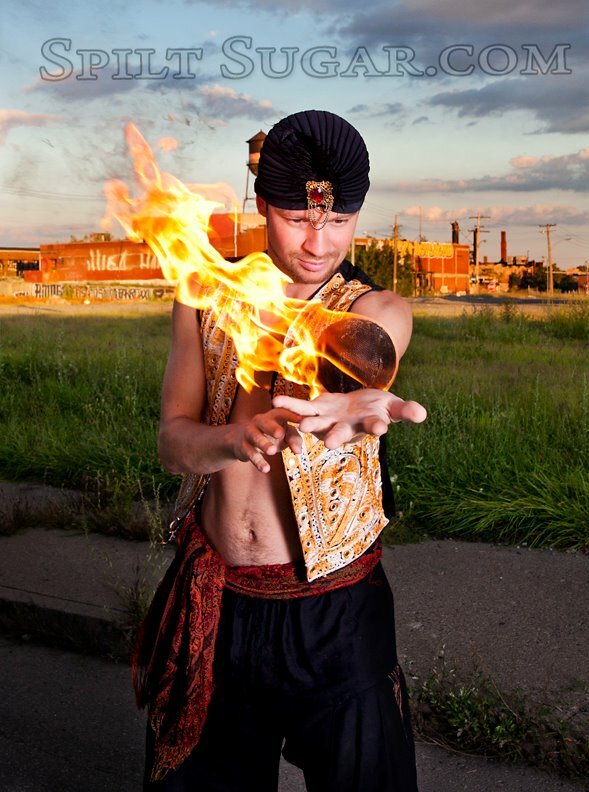 Cheryl Willard, known locally as Spilt Sugar, has been involved with Detroit’s circus community for over 3 years, as both an aerial performer and a photographer. In Feast Your Eyes‘s 100 pages, she presents striking costumes and vivid settings, paired with intimate portraits, offering a rare behind-the-scenes peek at the individuals who make up this unique and wondrous world. Cheryl first came to i3 Detroit in 2010 seeking a place to practice her aerial routines, and joined as a member in early 2011.
i3 Detroit is metro Detroit’s first hackerspace, a member-run collective of do-it-yourselfers. Founded in 2009, the group maintains an 8000 sq ft workshop in Ferndale, which supports a wide variety of activities and member-run classes. Frequent activities include electronics, metalworking, podcasting, and acrobatics. Past classes have included lockpicking, welding, and circuit board design. Members have 24/7 access to the facility and the tools within, and are free to work as individuals or collaborate on almost any project. “i3” stands for “Imagine, Innovate, and Inspire”. i3 Detroit is located at 1481 Wordsworth, Ferndale, MI 48220. Red Bull Creation Challenge: Live Update Day 2. 1Day 11 hours to go. The creation is coming together! With 1 day 11 hours to go. Still Raining on and off. Helping Red Bull fix the drill press. https://www.i3detroit.org/wp-content/uploads/2014/03/Logo_large_png8-300x98.png 0 0 Nate_LapT https://www.i3detroit.org/wp-content/uploads/2014/03/Logo_large_png8-300x98.png Nate_LapT2011-07-08 23:42:222011-07-08 23:55:53Red Bull Creation Challenge: Live Update Day 2. 1Day 11 hours to go. Yesterday’s Bottle-cap Contact Microphone class was a success thanks to CMKT 4. Attendees had the privilege of seeing a pretty cool little concert as well. i3Detroit is going to keep rocking it in the upcoming week and here’s how! 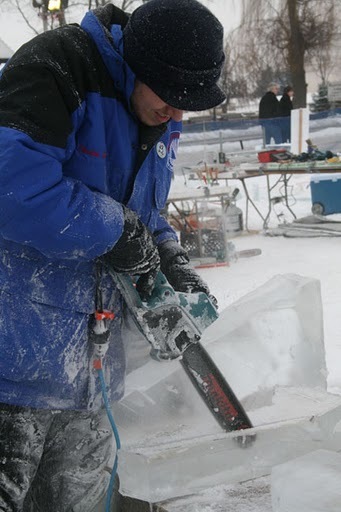 This Saturday, March 12th, at noon, there will be a meeting up of the Michigan Scale Model Boat Club. Feel free to stop by and check it out. 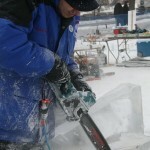 Sunday, March 13th, at noon, member Dustin will be pulling out the chain saw for his Ice Carving Class. Students will learn basic carving techniques, texturing, and will got a little hands on experience! Come join us for some mathy-good fun! 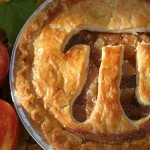 Bring some pie, eat some pie and be prepared to share some good old fashioned math puns. Party starts at 7pm. Don’t forget the Cool Whip. 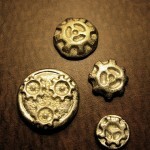 Does molten metal interest you? How about the chance to see someone accidentally set themselves on fire? Then be at i3Detoit Saturday, March 19th at 1pm to attend Alex Drummer’s Metal Casting Class. 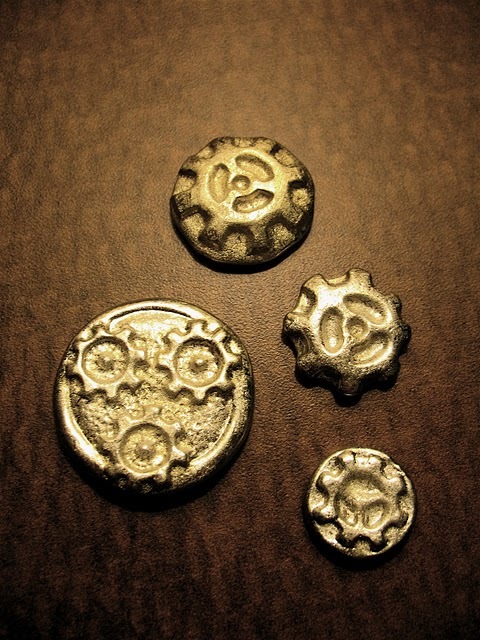 Kits will be available for purchase that will allow for 2 pewter castings. https://www.i3detroit.org/wp-content/uploads/2014/03/Logo_large_png8-300x98.png 0 0 HippoDignity https://www.i3detroit.org/wp-content/uploads/2014/03/Logo_large_png8-300x98.png HippoDignity2011-03-07 13:18:382011-03-07 16:16:56Holy Upcoming Events, Batman! Members of i3 Detroit will be hosting a panel at ConFusion this coming weekend. 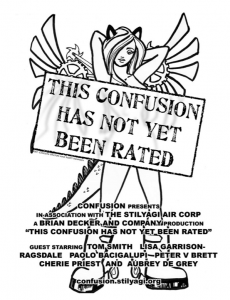 ConFusion runs from Friday January 21st to Sunday, January 23rd at the Detroit Marriott in Troy, 200 W. Big Beaver Rd. The Panel will be held Sunday, January 23 @ 12pm in Salon E.
Panelists include: Nick Britsky, Ted Hansen, Brad McMahon, and Ross Smith.